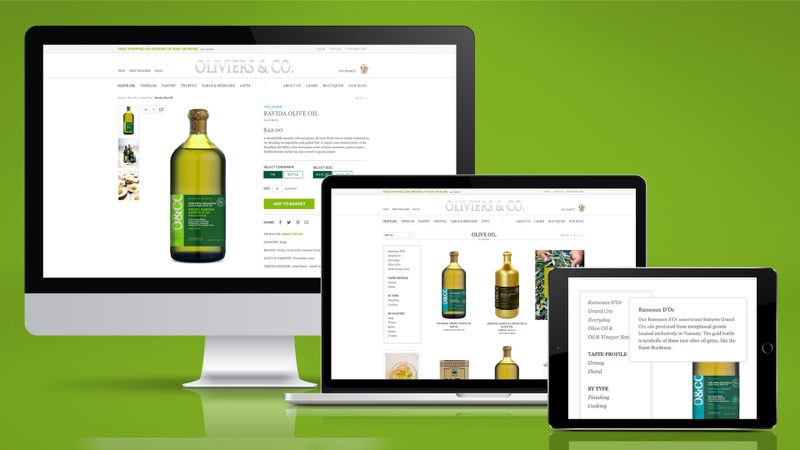 Bringing an old world retailer, renowned as the premium purveyor of olive oil, into a digitally-forward leading position in the modern age. 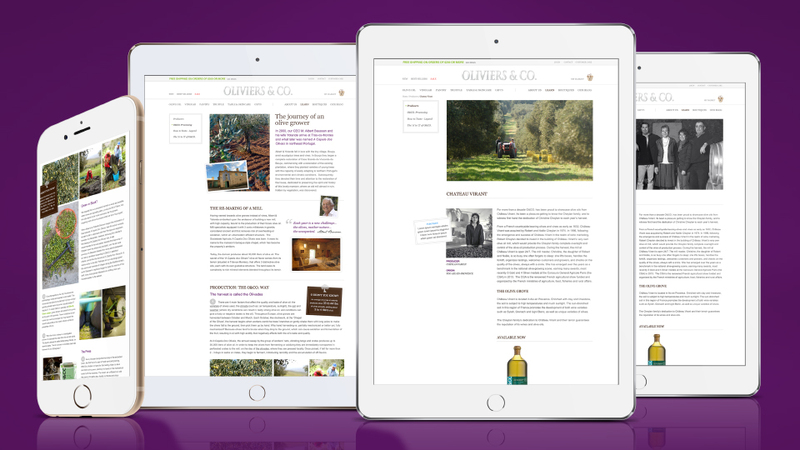 Results | Oliviers & Co. Founded by the Creative Director and original founder of L’Occitane, while on a trip with friends through the European countryside; Olivier fell in love not just with the distinct terroirs of the Mediterranean, but also with the olive oil producers themselves and the time-tested yet distinct production processes that surrounded each family’s grove. 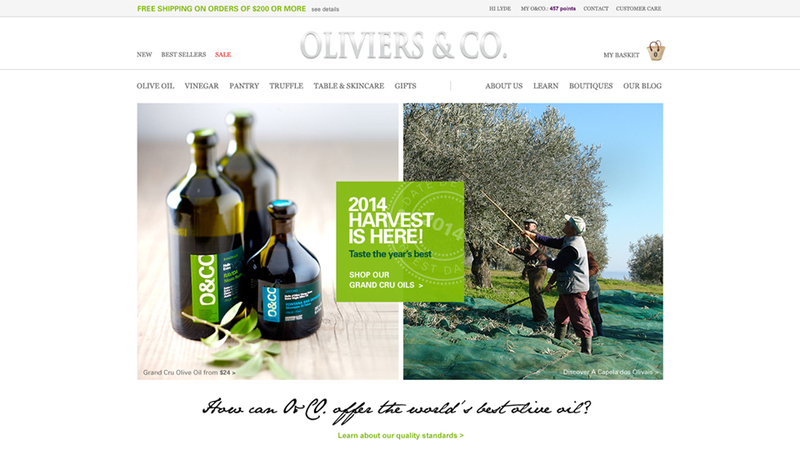 Given Olivier’s success in bringing Provencal beauty to the global market, it wasn’t long before Oliviers & Co. had grown to 65 boutiques worldwide, and had expanded its product line to include gourmet delicacies that were not just representative of esteemed European chef’s palettes, but also regionally focused catering to the 18 international markets it had expanded into within a decade. O&Co. 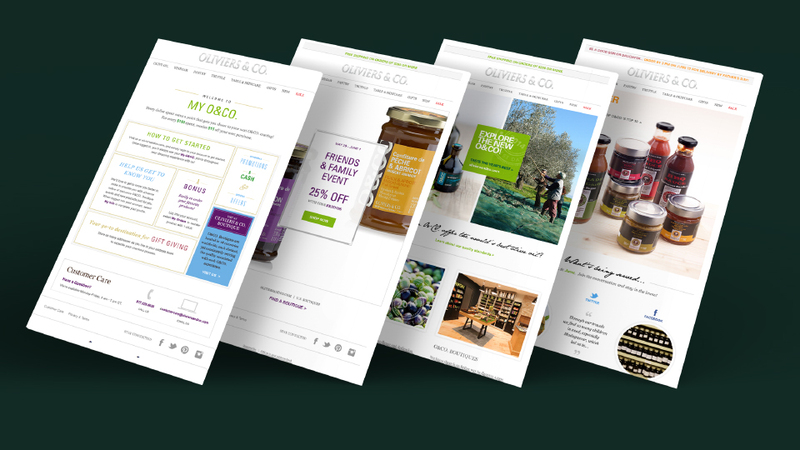 won awards for the quality of its products, its branding and was world-famous for a boutique experience that felt like stepping into Provence and when you left you had tasted the Mediterranean. 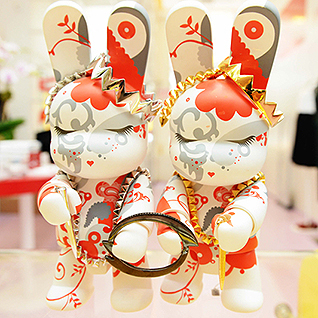 Like many European companies however, O&Co. 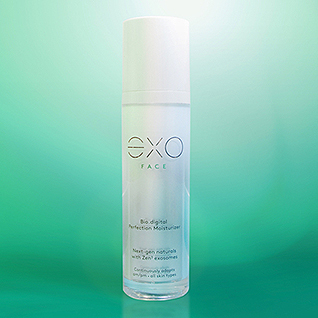 was late to the eCommerce game; coupled with limited brand visibility in the United States and limited marketing dollars, O&CO.’s reputation was not near its acclaim in Europe. The Franchisee who retained us, did so to help facilitate this now French behemoth into the digital era. 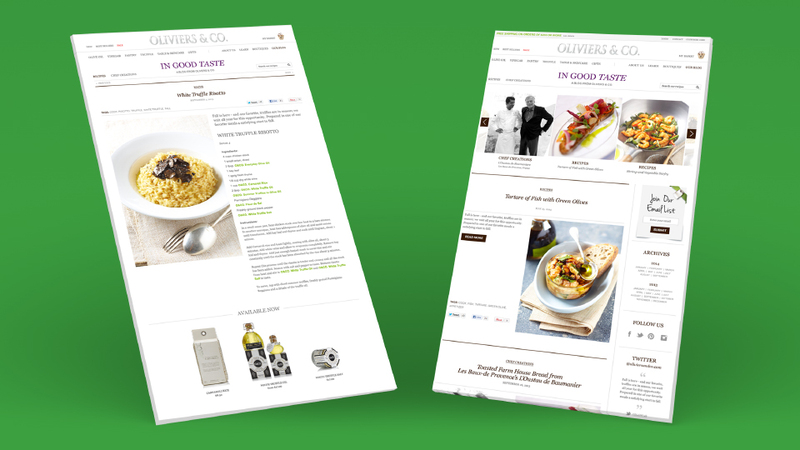 While Oliviersandco.com made its debut in 2005, and climbed to the 2nd highest producing door in the United States, (2nd only to NYC’s Grand Central’s food court boutique), without corporate support from France, it proved a difficult feat to garner support for a re-positioning and evolving oliviersandco.com to reach its full online growth potential. 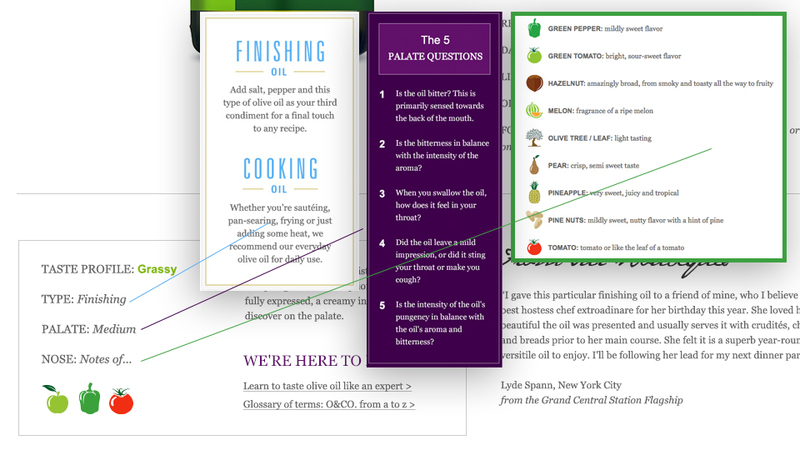 As with most eCommerce strategic planning that we subsequently build out we had to build a service-forward platform that successfully communicated not only a premium digital experience but a sensorial one. As the US boutique footprint was sparse compared to its European counterparts, and compounded by the fact that sampling was not a possibility given batch control in order to protect fresh-ness and the highest quality of bottled olive oil, we had to construct the experience from reputation, from education as to why the Mediterranean was still producing the best olive oil in the world, and perhaps the most complex, conveying how an olive oil tasted through an online interface. 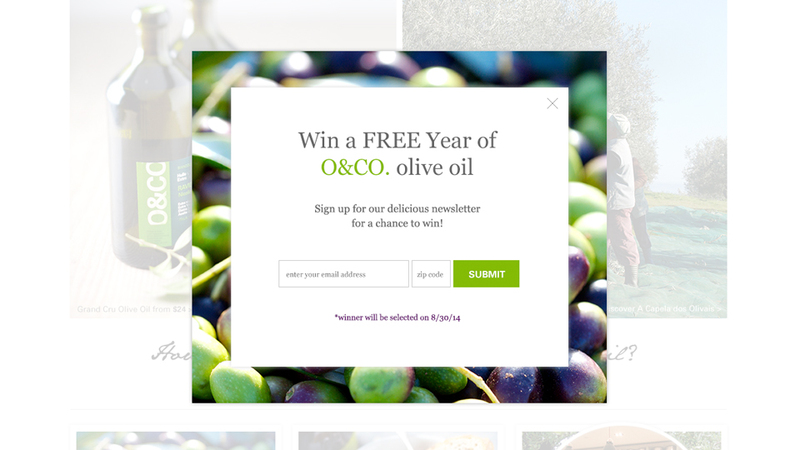 To bring Oliviers & Co. to the forefront of the increasingly competitive farm to table movement that had engulfed foodies and regions across the United States; we took a deep dive into the history of Oliviers & Co; we read every book (10+) that O&Co. 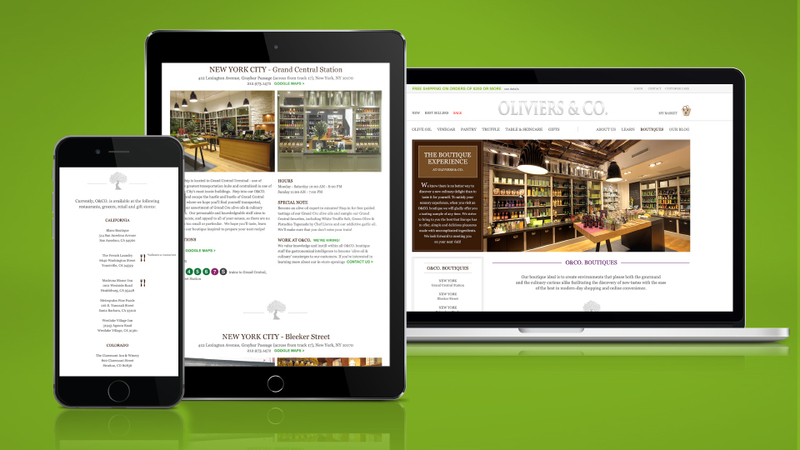 had published, read every recipe, experienced their US boutiques intimately, tasted every product and benchmarked oliviersandco.com against their online competition across more than 100+ metrics; we debuted the 2nd refresh and re-brand of oliviersandco.com in June 2014. We stayed on board for 3 months following the re-launch, ensuring that our financial growth projections were being met and exceeded.